Editor’s note: The following Warwick, RI area arrests recorded in the RI Trooper Log were reported by theRI State Policeon their website. An arrest reflects charges against an individual, and does not indicate guilt or innocence. Traffic stop yields no contact order violation arrest At 4:02 p.m. March 14, troopers arrested J’Mari Walker, 23, of 38 Arch St., Providence, Rhode Island on an Affidavit and Arrest Warrant for Violation of a No Contact Order originating out of the Pawtucket Police Department. The arrest was the result of a motor vehicle stop on the Airport Connector in the City of Warwick. Missed court hearings on breaking and entering charges At 6 p.m., March 14, troopers arrested Wendi Withrow 22, of 180 Grace St. Cranston, Rhode Island for 1) Superior Court Full Bench Warrant for Failure To Appear For Review on the original charge of Breaking and Entering originating out of the Warwick Police Department 2) Superior Court Full Bench Warrant for Failure To Appear For Review on the original charge of Breaking and Entering originating out of the West Warwick Police Department 3) Superior Court Full Bench Warrant for Failure To Appear For Review on the original charge of Breaking and Entering originating out of the Lincoln Police Department. Traffic stop on Rte. 95 yields DUI arrest At 1:49 a.m. March 15, troopers arrested Corey Lemay, 24, of 168 Lake Garden Drive, Cranston, Rhode Island, for Driving Under the Influence of Intoxicating Liquor and/or Drugs / 1st Offense – B.A.C. Unknown and Refusal to Submit to a Chemical Test. The arrest was the result of a motor vehicle stop on Route 95 in the City of Warwick. The subject was transported to the Wickford Barracks for processing and held overnight pending morning arraignment. he arrest was the result of a motor vehicle stop on Spruce Street in the City of Providence. The subject was transported to State Police Headquarters, where he was processed and later turned over to the Adult Correctional Institution – Men’s Intake Center. Traffic stop yields arrest for failing to appear On March 16, 2019 at 10:51 p.m., troopers arrested Brittany Tavares, 26, of 19 North Bend Street Pawtucket, RI on 1.) Providence Superior Court Bench Warrant for Failure to Appear for Sentencing on Technical Violation on the original charge of Felony Shoplifting that originated out of the Providence Police Department 2.) Kent County Superior Court Bench Warrant for Failure to Appear for Sentencing on Technical Violation on the original charge of Felony Shoplifting that originated out of the Warwick Police Department and 3.) Fugitive of Justice from the State of Massachusetts on the original charge of Shoplifting that originated out of the North Attleboro Police Department. The arrest was the result of a motor vehicle stop on Union Avenue in the City of Providence. Subject was transported to Headquarters, processed and held overnight for morning arraignment. Subject was later turned over to the Adult Correctional Institution-Women’s Intake. 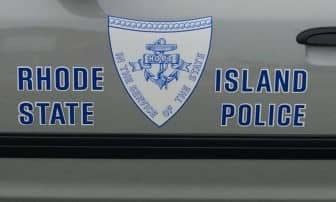 Traffic stop ends in DUI arrest On Saturday, March 16, 2019, at 11:09 p.m., troopers arrested Francisco Rizzo, 67, of 3438 Post Road, Warwick, Rhode Island, for 1.) Driving under the influence of intoxicating liquor and/or drugs B.A.C. Unknown – First Offense; and 2.) Chemical test refusal. The arrest was the result of a motor vehicle stop on Rte. 95 South, in Providence. Rizzo was processed at the Lincoln Woods Barracks and held overnight pending arraignment.